The Presidential election is now over and hopefully the grid lock in Washington, DC will come to an end. With new drilling techniques and fracturing more oil and natural gas will be produced in this country. LCRI hopes that just because of these advances we do not as a Nation go back to the 70âs where following the oil embargo we did not pursue changes in our energy policy. We cannot waste another 40 years and let some future generation deal with energy shortages that we could have overcome today. Rural areas like Lake County that currently do not have natural gas and utilize fuel oil, propane or electricity can realize considerable economic development through renewable energy. The Richard Gardner, PhD Eco nomist, study on 22 renewable energy projects in Lake County for the Ford Family Leadership Institute showed that over the life of the equipment the net present value for those projects is $1.9 million or an average of $86,000/project. These savings that were once dedicated energy costs now become new expendable income that can be spent on such things as education, food, new vehicle, new hires, etc. The report also states that with the projects LCRI is currently working on the value could reach $9 million. Please review the study in more detail at Lake County: New Income From Renewable Energy Cost Savings. The easiest and most cost beneficial renewable energy savings is replacement of outdated windows, lights and added insulation. 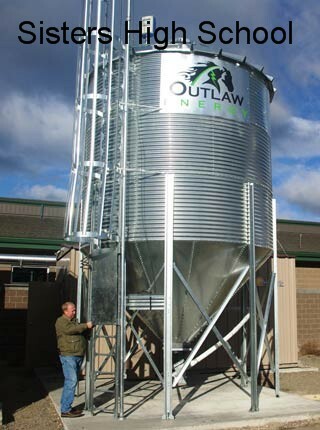 There are places that will point out that they do not have the resources we enjoy here in Lake County. While that is true, if you do not have geothermal or solar resources there are opportunities. 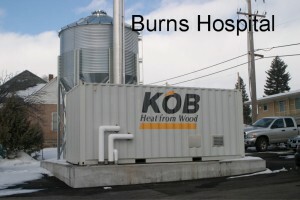 Ball State University in March 2012 completed a ground source heat pump that will heat and cool the campus saving them an estimated $2 million/year (http://www.bsu.edu /news/article/0,1370,7273-850-65616,00.html). 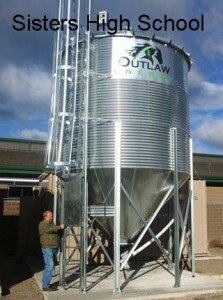 Small scale biomass is another way to produce heat and help maintain healthy forests, http://www.oregon.gov/energy/RENEW/Biomass/Pages/assessment.aspx. 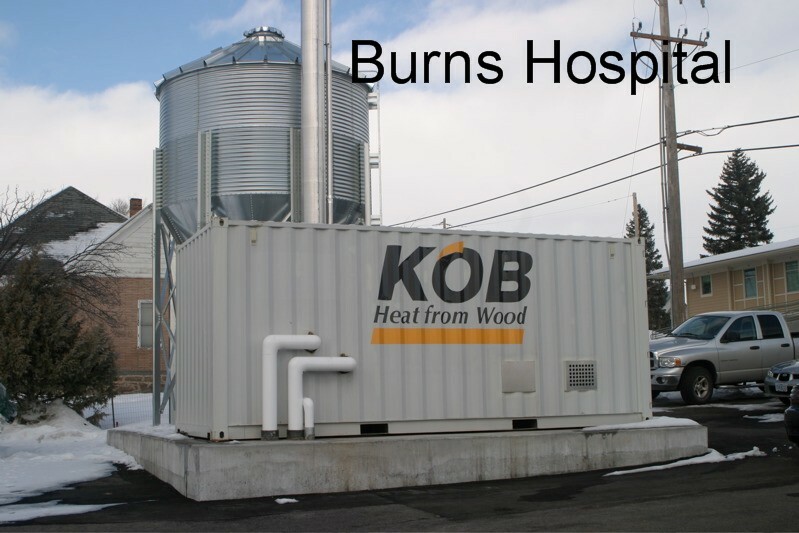 Two great examples of small biomass are Sisters High School and Burns Hospital and depending upon the facility they can save $60,000 to $100,000/year. In the case of schools this could mean not cutting existing programs in these hard economic times and/or hiring another teacher. Both the Oregon Department of Forestry and Oregon Department of Energy have specialist that help you determine systems that might fit your situation. Ground source heat pumps can be utilized anywhere you have heating or cooling needs. An area where LCRI would like to gain some expertise in is renewable community investment projects. The Lakeview geothermal project to the schools and hospitals is an excellent community project.